Whether you’re looking to go off the beaten track or explore somewhere that’s been on your bucket list for a while, our list of top 2019 destinations will give you plenty of inspiration for your next holiday! We’ve compiled 7 destinations that are trending for 2019 from exploring culture in Sri Lanka and Zimbabwe to seeking out breathtaking, natural landscapes in the Faroe Islands and Panama. A destination designed to be explored thoroughly. Sri Lanka is a cultural oasis with tea plantations, ancient temples, tea plantations and 8 UNESCO World Heritage Sites. A Sri Lanka tour is the best way to see the highlights of this fascinating country, whether it’s on a guided escorted tour or your own driver chauffeuring you around. 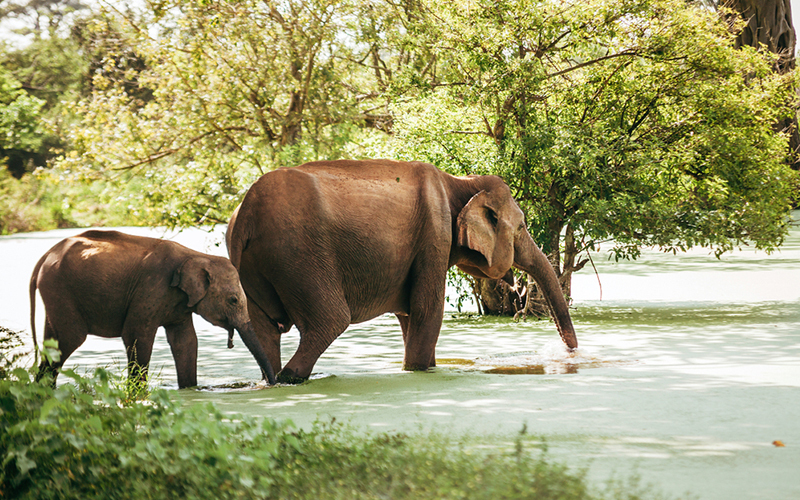 If you want to get up close to a herd of elephants then an afternoon jeep safari at Udawalawe should be on your bucket list and for breathtaking views a climb up the Sigiriya Rock is a must! 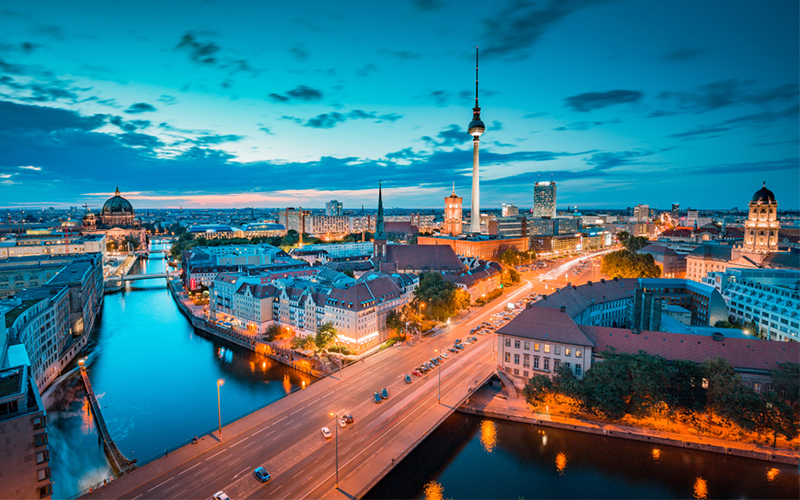 If you’re searching for a mini break in 2019, Germany is a fantastic option with the likes of the country’s capital, Berlin offering rich culture, lively bars and pubs, museums, pretty gardens and an exciting restaurant scene with 21 Michelin star restaurants. A visit to Berlin wouldn’t be complete without seeing the East Side Galley, which is a long remnant of the Berlin Wall and is the longest open-air gallery in the world! 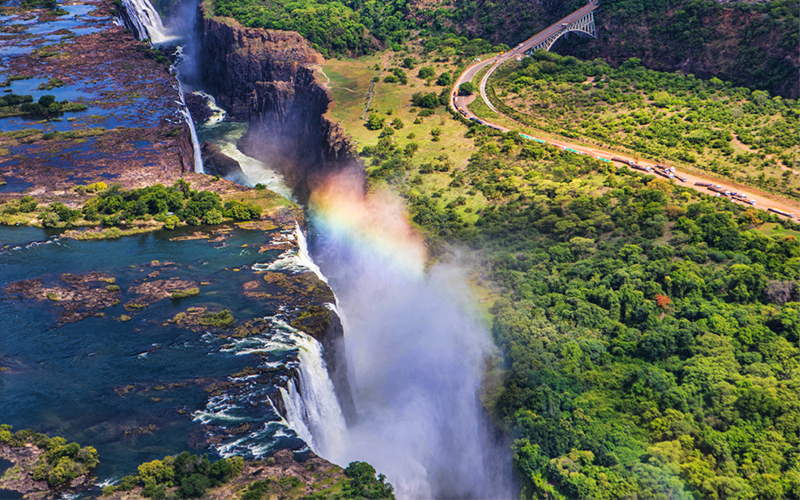 Dramatic landscapes, diverse wildlife and breathtaking World Heritage Sites, Zimbabwe offers the perfect safari holiday where spectacular sights of nature can be witnessed, from the awe-inspiring Victoria Falls to the Kingdom of Mapungubwe and Matabo National Park, which is renowned for the “mother and child” balancing rocks. Explore Zimbabwe’s historical past in the medieval city of Great Zimbabwe, which was the capital of Zimbabwe during the Late Iron Age. Panama offers holidaymakers a great beach destination with 27-miles of stunning beach to explore! There’s plenty to do on water too, from jet skiing to paddle boarding and the underwater world is just as exciting with fishing trips, snorkelling and diving spots. 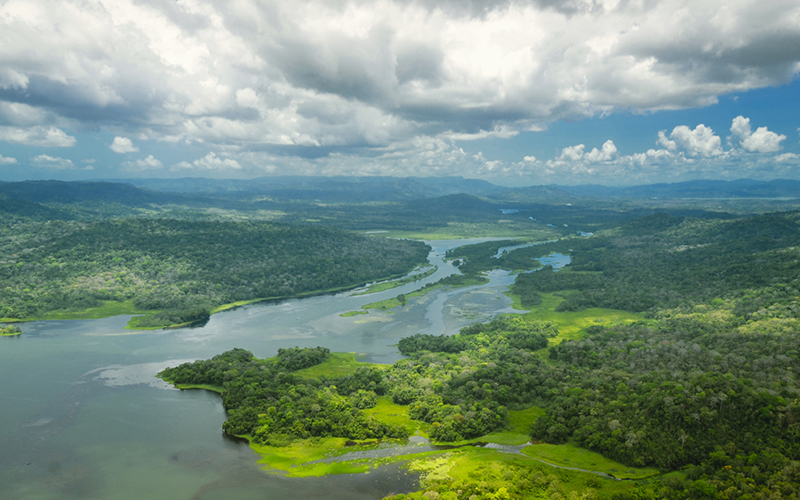 A cruise through Panama Canal is highly popular, which is a 48-mile manmade waterway, showcases stunning natural beauty with routes in the modern world that connects the Atlantic and Pacific oceans. 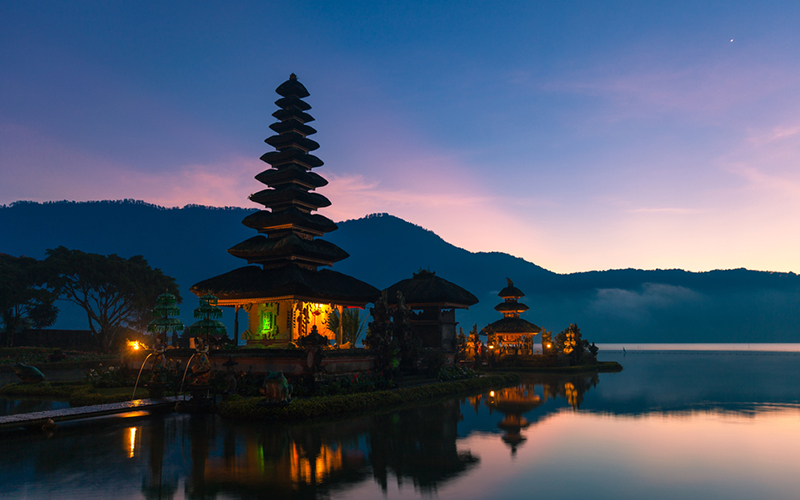 Diverse culture and stunning sceneries can be expected on a holiday in Bali. Known for the iconic rice paddies, beautiful beaches and coral reefs, Bali is often explored as a twin centre where you can discover all the adventures of the jungle oasis in Ubud, with a relaxing end on a gorgeous beach in Seminyak. As seen on many photos in glossy magazines, the Pura Ulun Danu Bratan water temple lies on the shores of Lake Bratan in the mountains is a significant temple complex. 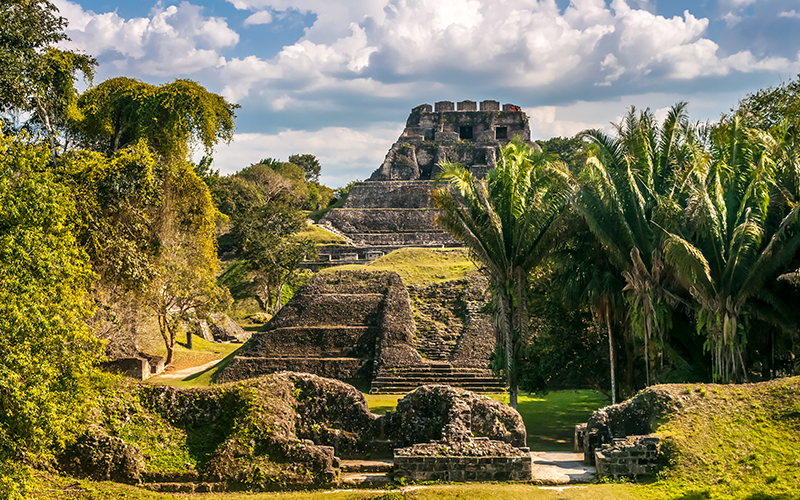 Exuding with Mayan history, Belize has plenty of sights to explore, with the Cayo Toledo districts that ooze with archaeological sites such as Xunantunich and Caracol, which are two of Belize’s Maya temple sites. Adventure seekers will love Cayo District, from zip lining through jungles to canoeing the underground river systems and scuba diving the big hole! Ocean lovers have plenty to do in Belize, from the Ambergris Caye, known for water sports and scuba diving with the Belize Barrier Reef off the eastern shore. Belize City is a historic hub where a few days of sightseeing the colonial architecture, lively shopping areas and the Haulover Creek. If getting of the beaten track is more your scene for 2019, why not consider a trip to the Faroe Islands? Made up of 18 islands with colourful cottages, grass covered roof churches and sweeping natural landscapes, the Faroe Islands are a European gem of nature. Hike the islands to unveil mountains, breathtaking ocean views and untouched nature. Go bird watching, biking, fishing, sailing, horse riding and so much more. A great way to discover Faroe Islands is by car on a self-drive tour. 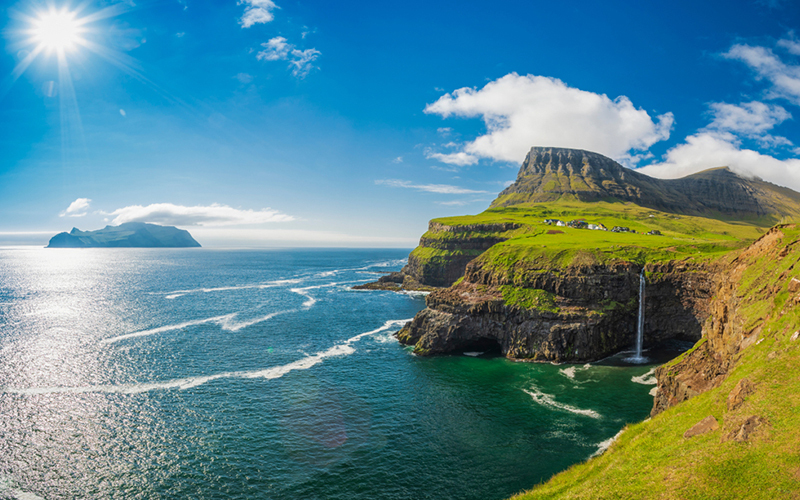 See the views of Múlafossur waterfall, be inspired by the beautiful lagoon in Saksun and hike up to the Kallur Lighthouse, which offers some of the most gorgeous vistas of the Faroe Islands. Inspired by our top destinations for 2019? Contact us today about tailor made holiday packages.